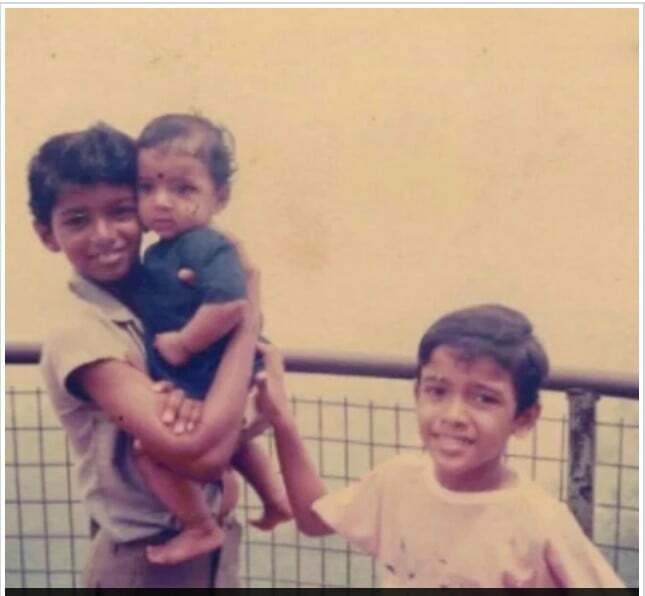 Actor Vikranth shared a picture of himself with Thalapathy Vijay and Sanjeev Kumar on Twitter. In the photo, Vijay can be seen as a young boy, carrying the then six-month-old baby. the baby Vijay carrying is Actor Vikranth.